Could what you feed your chickens affect what’s in their manure? Chicken manure makes a great garden fertilizer, but when it’s fresh, it can be “hot,” meaning that it contains too much nitrogen and can actually burn your plants and contribute to dehydration. While composting your birds’ manure is an effective way to age it and make it safe for use, let’s see if modifying your flock’s diet has the same effect. The biggest issue is that chickens are monogastric animals, meaning they have one or a single-chambered stomach. Ruminant animals, such as cows and goats, and post-gastric digesters, such as horses, process their food through multiple chambers, which allows them to have an ample diet of roughage that translates to a lot of excrement, according to Joseph Hess, a professor in the poultry sciences department at Alabama A&M and Auburn Universities. On the other hand, monogastric animals eat a fairly concentrated diet, says Hess, and that means the nutrients in their droppings are also more concentrated. The point here is that because a ruminant animal’s stomach has four chambers, their system is more designed to process more roughage. Eating and processing more roughage produces more waste, meaning it’s more diluted. Unless you’re simply looking to keep a few chickens around as pets and not get any meat or eggs from them, a more nutrient-rich diet is necessary: Chickens need those extra vitamins and minerals to produce healthy eggs and meat. If you’re feeding your birds to grow and produce at a reasonable rate, you can’t just let them forage alone. There’s a trade-off between having enough nutrients to be productive and not putting anything else in their diet. Chickens that only forage will have a lot more waste because they’re eating a lot more grass, but because they’re monogastric animals that don’t digest fiber, they’ll excrete it. If you’re trying to have fairly healthy, productive chickens that are laying the amount of eggs that somewhere approach their genetic potential, you can’t really modify the chicken’s diet to impact the nitrogen in the manure they create. Within commonly available commercial feed, protein levels vary; Hess highlights 16 percent and 22 percent layer feed. Formulated for chickens that consume garden waste or scratch feed, or that spend a lot of time pasture-raised because the other nutrients they consume are commonly indigestible, commercial chicken feed provides a balanced diet. A certain amount of crude protein is essential for the health of the bird. 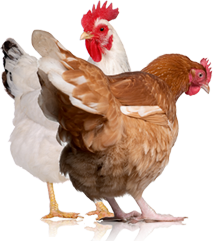 You have to be very careful reducing the crude protein in layers because while you may get a lower nitrogen level in their droppings, you also will not be providing the birds with sufficient crude protein to maintain good health and lay quality eggs. Excess nitrogen excretion into chicken litter can be reduced through modifying a chicken’s crude protein diet and optimizing its amino acid intake. A study conducted in 2008 showed that if a commercial poultry house decreased the crude protein by roughly 1 percent less than the standard feed, the result was a 10 percent reduction in ammonia emission. This was directly tied to undigested nitrogen in the droppings. Purdue University found that for 1 percent less in crude protein, nitrogen excretion from poultry and swine manure is reduced by 8 to 10 percent. 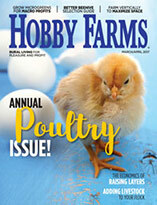 The USDA points out that optimal amino acid composition varies with each chicken’s gender, age, genetics and livestock role, and reducing protein levels by 2 to 4 percent had no weight impact. According to Purdue Extension, amino acids have contributed to reductions in poultry nitrogen excretion. By providing a good probiotic supplement, you can help increase the feed conversion ratio, according to Cardaropoli, which can reduce the amount of undigested nitrogen in droppings, as well as impact the amount of droppings the bird produces. Fresh water is also a critical part in this. 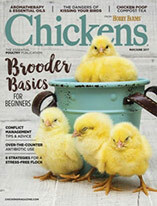 While there is some potential to modifying a chicken’s diet to reduce nitrogen excretion in litter, like many things in nature, there are still many factors that can’t reduce the amount of nitrogen in chicken litter. You’re probably better off composting it with your coop bedding. Western Connecticut based contributor Thomas Hill is a full-time freelance writer who believes that understanding where our food comes from shows just how awe-inspiring nature is and that this knowledge makes meal-time that much more special. He lives on his grandfather’s former 40-acre farm where cows graze, chickens produce eggs, and bees create their sweet nectar we call honey.